The easiest way to combine 2 shape layers in photoshop is to select the 2 layers in the layers palette (press shift to select more than one layer at a time) and right click on one of the layers in the layers palette and choose merge layers. This will combine both your shapes into one raster layer but the individual Shapes will no longer be editable or scalable. 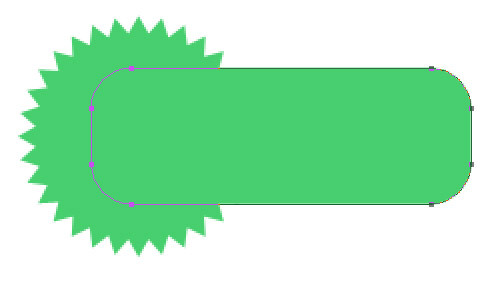 The best way to join 2 shape layers is to select all the path points on one shape layer. To do this, use the direct selection tool and press shift to select multiple points. Once all the points are selected you can press Apple C / Ctrl C or Edit > Copy. Apple X / Ctrl X or Edit > Cut to delete the layer. 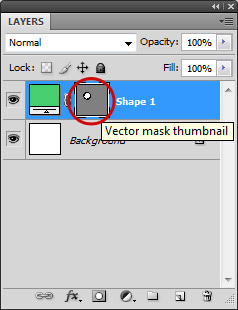 Select the other vector shape which you want to combine it with and select the shape area in the layers palette. With the pen tool selected choose ‘Add to Shape area’ from the shape option tool bar. Apple V / Ctrl V or Edit Paste. Your 2 shapes will now be combined within one shape layer. To combine shapes whilst drawing with the shape tools, make sure the ‘Add to Shape area’ option is pressed as you start drawing each new shape. The advantages of combining 2 shape layers means that you can not only move and scale shapes together whilst keeping them in proportion to each other but also apply layer styles such as gradients and shadows to what appears to be one seamless shape. How do you speed up & slow down an animated gif in photoshop? Thanks for sharing this, it really helps, and I will surely be back fore more. I didn’t work for me for PS CS 6.